Save the Pine Bush has a traveling exhibit. We bring it to fairs, schools, and especially every year to the Albany Tulipfest, held on Saturaday and Sunday of Mother's Day weekend in May. If you don't have a chance to visit our exhibit in person, we have put the pictures and captions in our exhibit on the web for your enjoyment. The photographs linked to this page are spectacular, and, are quite large (between 60K and 140K). Click on the thumbnails below to see larger versions of the pictures. Please be patient as they download. The Pine Bush is the only sizable inland pine barrens sand dunes in the United States, and is recognized world&endash;wide as a unique pine barrens ecosystem. It contains over 300 species of vertebrate animals, over 1,500 species of plants, and over 10,000 species of insects and other invertebrate animals. Many of them are rare and restricted to the Pine Bush habitat. Its most famous occupant, the Karner Blue Butterfly, is on the Federal and State's endangered species list. The Pine Bush is located in the Capital District, between Albany and Schenectady. The boundaries are Fuller Road on the east, Route 5 (Central Avenue) on the North, Route 146 on the west, and Route 20 (Western Avenue) on the South. The Pine Bush is located in three municipalities-Albany, Guilderland and Colonie. The Pine Bush originally encompassed 58,000 acres and extended from downtown Albany all the way to Rotterdam. Now, there are only 5,800 acres remaining. A local developer wants to destroy this 12-acre parcel in the Pine Bush. 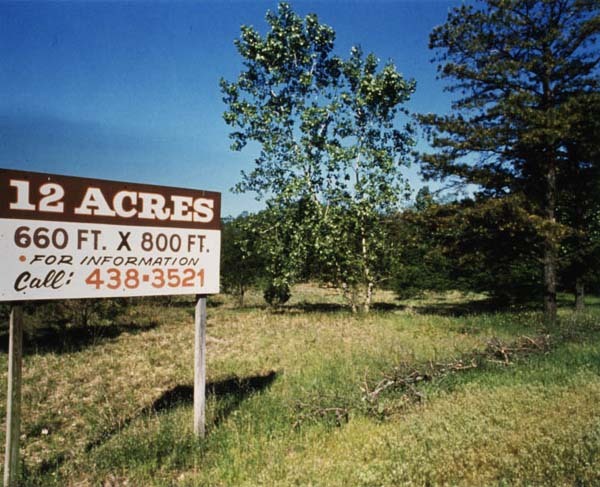 So far, Save the Pine Bush has sucessfully prevented this proposed development since 1988. The fight over this piece of land is still continuing. A local developer wants to destroy this piece of land. The first picture is classic, but somewhat overgrown Pine Bush. The next picture is the Pyamid Crossgates Maul, which not to long ago, looked like the picture on the left. Thanks to local citizen activism, enough Pine Bush survives for everyone to enjoy.